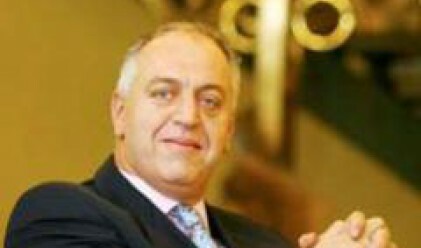 The general insurance market in Bulgaria will grow by between 13 and 20% in 2008, Rumen Yanchev, Chairman of the Supervisory Board of Bulstrad Life said, answering a question by Profit.bg at the third annual conference of the company. “Automobile insurance is the major driving force of the market, Yanchev added. New car sales are expected to reach 80,000 units in 2008, according to Yanchev. Banks and leasing companies have also been active but automobile insurance will be the major driving force. The premium income from general insurance in 2007 is forecast at 1.2 bln. leva, which represents an increase of 19% compared to 2006, Yanchev said. “Unfortunately, automobile insurance is once again the major factor accounting for 80% of the annual growth, Yanchev went on to say. The general insurance market growth has been outpacing the GDP growth in the last 6-7 years and this trend is expected to continue in the next few years, according to Yanchev. “Large-scale infrastructure projects are to be implemented in Bulgaria. This means new risks, which have to be insured”, according to Yanchev. A lot can be done in the Life insurance sector, as this segment is one of the best developed in the other countries, Yanchev added. The Life insurance sector will grow by 30% in 2008, while Bulstrad Life will occupy 9% of the market as at the end of the year, Svetla Nestorova, Executive Director and Chairwoman of the Management Board of the company, forecasts. Bulstrad Life's gross premium income went up by 61% in 2007 and is expected to amount to 21.7 mln. leva for the year. Bulstrad Life's assets amounted to 31 mln. leva as at the end of 2007. The figure represents a 38-percent year on year increase and a 3.4-fold rise for the period 2004-2007. The reserves of the company went up by 52% over the last year and marked a nearly 6.5-fold increase in the period 2004-2007. The after-tax profit of the company for the same period rose nearly four-fold and is expected to total 1.7 mln. leva for 2007. The figure would mark a 39-percent year on year rise. Life insurance accounted for 79.01% of the premium income of the company in 2007, while bank insurance made for 8.17% of the figure. The share of medical and health insurance and accident insurance stood at 5.30 and 4.14%, respectively. Bulstrad Life will strive to achieve better financial results in 2008, Nestorova said. Asked whether an increase in the free float of Bulstrad Life is planned, Yanchev explained that this is a decision than can be taken at the general shareholders' meeting of the company. Yanchev personally would prefer that Bulstrad Life's free float is higher, which would help estimate the actual market value of the company.